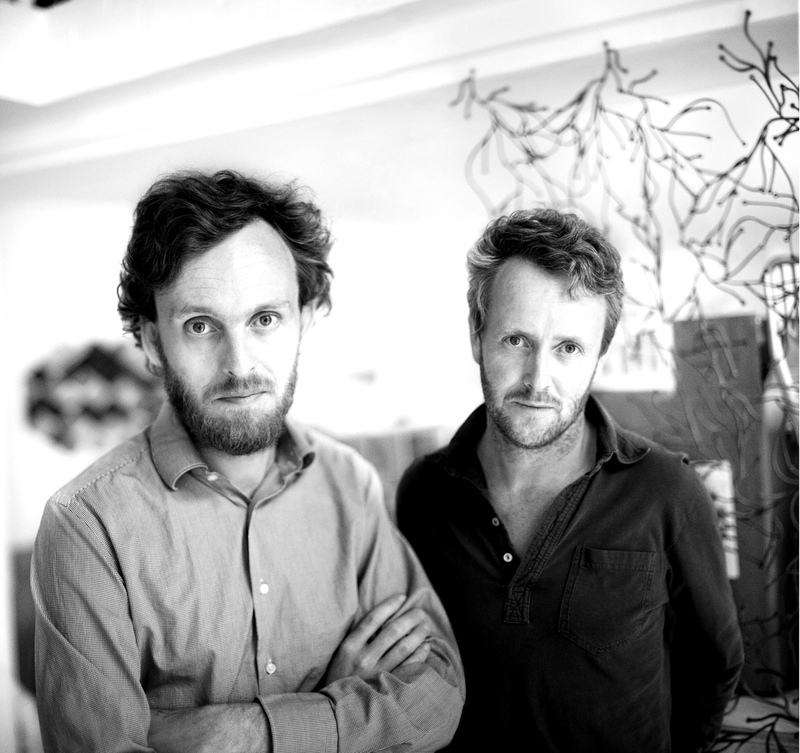 Ronan and Erwan Bouroullec are two brothers and designers, with a collaboration founded on aptitude, brilliance, diligence and creative skill. 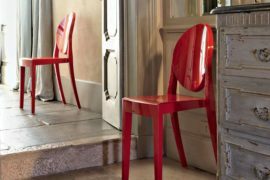 Based in Paris, Ronan (born in 1971) and Erwan (born in 1976) were picked out by Italian design company Cappellini in 1997, and given their first industrial design projects. Cappellini describe the brothers as: ‘bold and reflective while simultaneously poetic and passionate’. 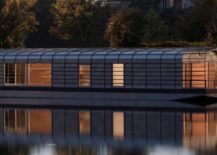 Cementing their design partnership in 1999, the Bouroullecs went on to work with Issey Miyake, designing a boutique to house the designer’s ‘A-POC’—’A Piece of Cloth’— collection. 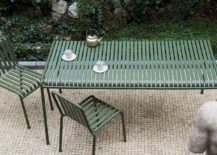 Ronan and Erwan Bouroullec. Image courtesy of Fiskars Finland. 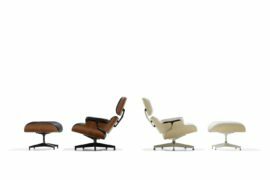 In 2002, the brothers designed ‘Joyn’ for Vitra, a clever and punctiliously considered office system. 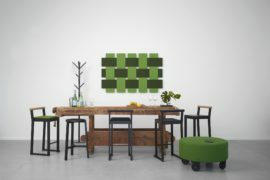 With a firm creative foundation, they have since collaborated with many renowned companies, including Magis, nanimarquina, Iittala, Samsung and Hay. 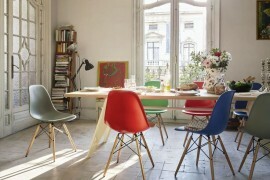 The Bouroullecs have also made a significant contribution to Vitra’s growing home collection. 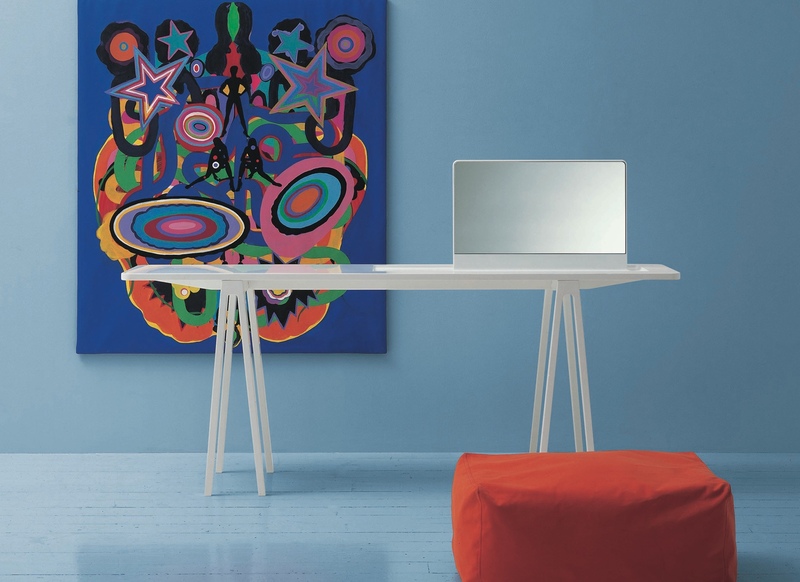 The ‘console with mirror’ was designed in 2001 for Cappellini. Made using Corian®—a synthetic material created by DuPont scientists in 1967—the console appears as a unified entity, where the mirror and table blend into a single form. Console with mirror. Image © Cap Design S.p.A. 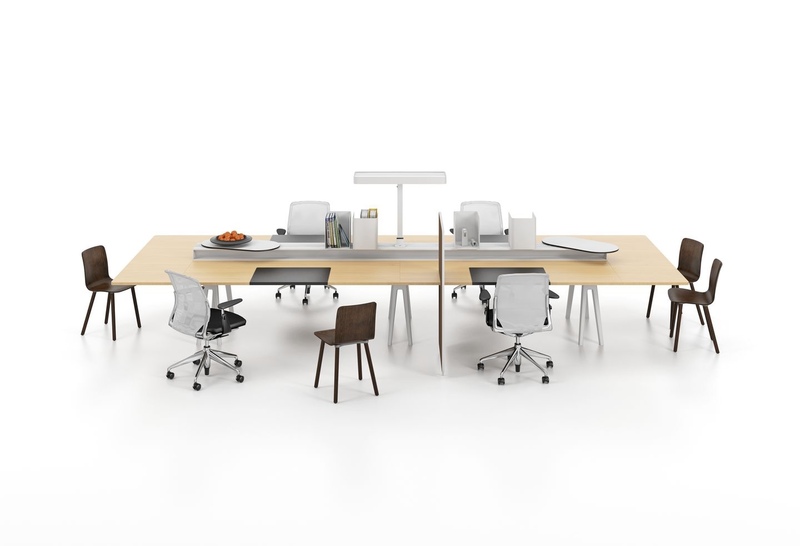 The ‘Joyn’ office furniture system was created for Vitra in 2002. 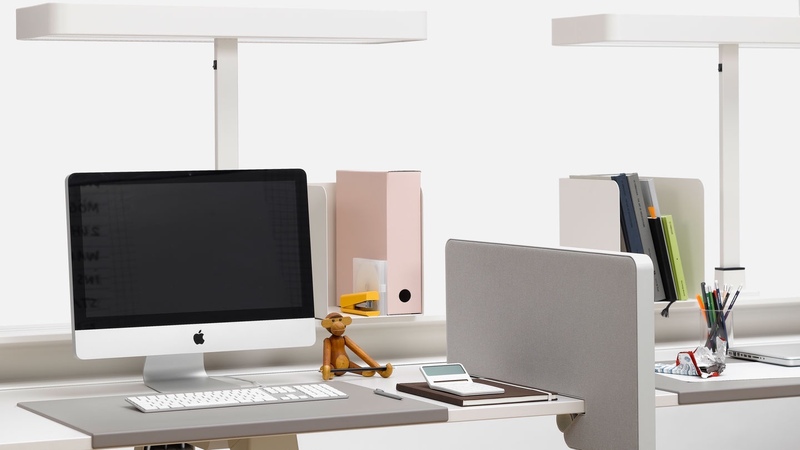 Reflecting the dynamism of a modern-day office, Joyn adapts to the job at hand. 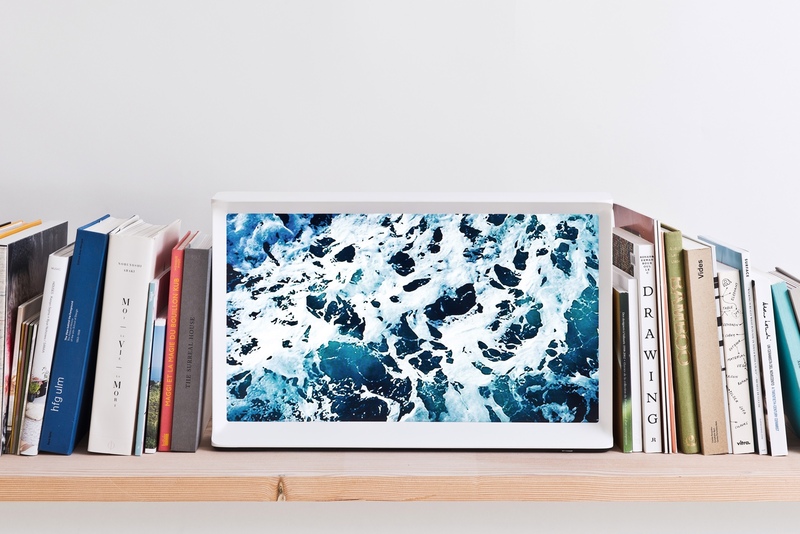 Modular and flexible, Joyn multitasks, handling technology, meetings and coffee breaks with aplomb. 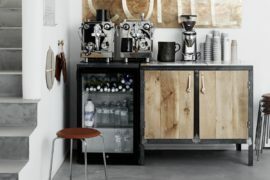 Joyn with light oak tabletop. Joyn with soft light tabletop. 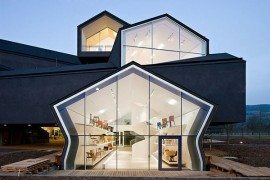 Images © Vitra International AG. 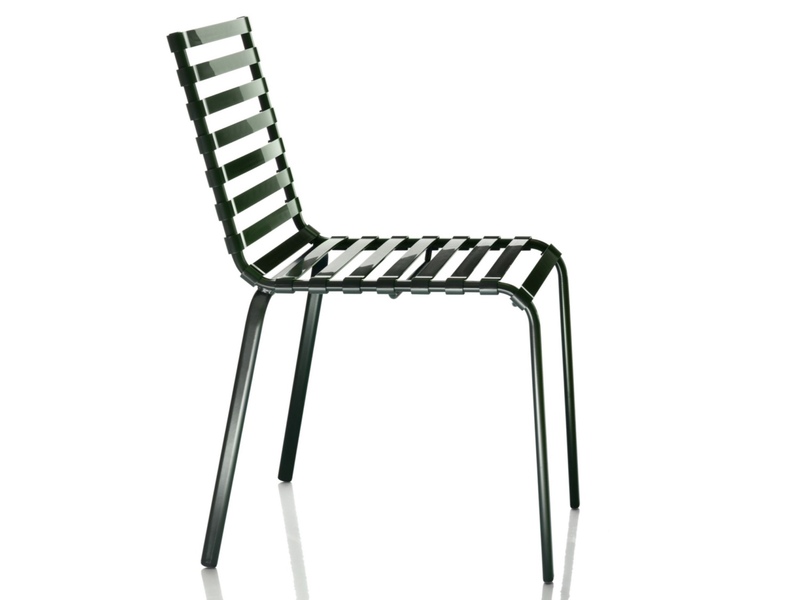 The ‘Striped’ stacking chair was designed in 2005 for Magis and is an ideal indoor/outdoor seat. 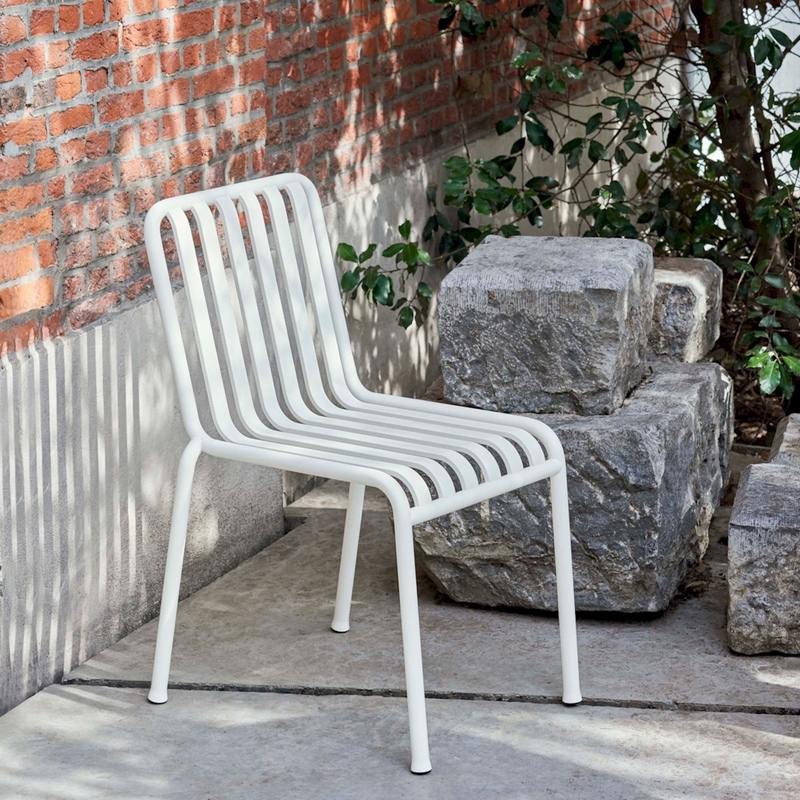 The chair’s seat and back are made using ‘stripes’ of plastic, hence the name. 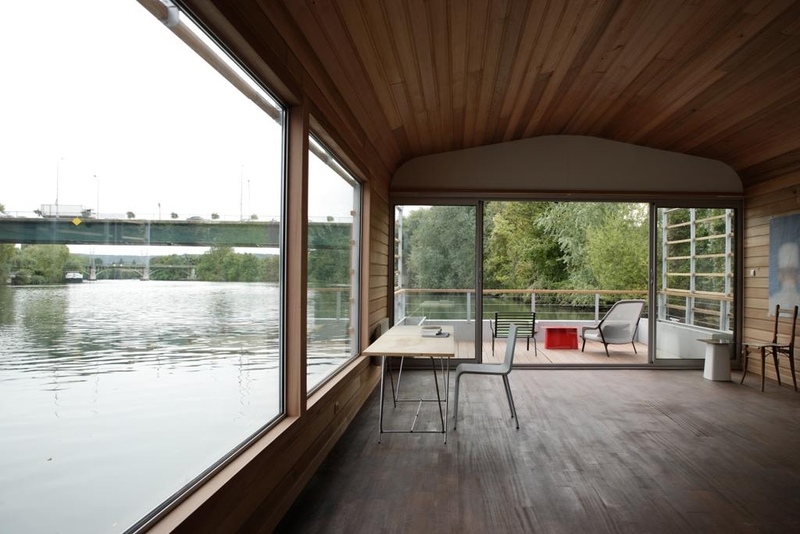 ‘The Floating House’ was a project conceived in 2006 with architects Jean-Marie Finot and Denis Daversin. 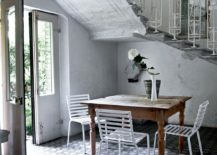 The house was designed as a studio for resident artists and writers, based permanently in the Centre National de l’Estampe et de l’Art Imprimé—a national contemporary art centre for publication in Paris. 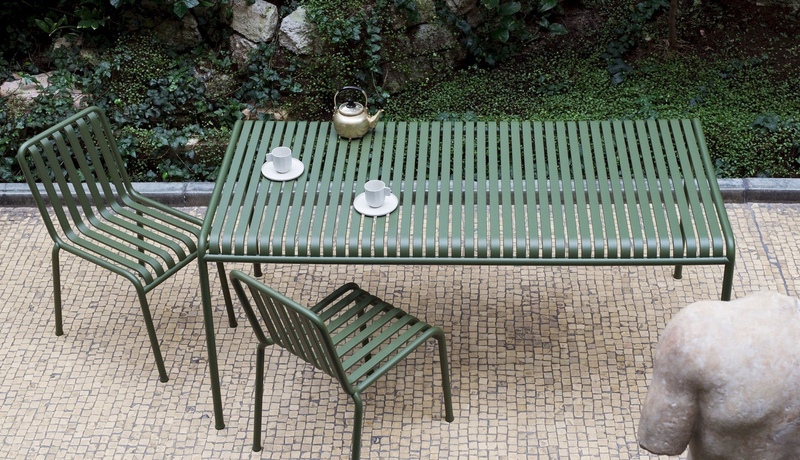 Images © Paul Tahon and R & E Bouroullec. 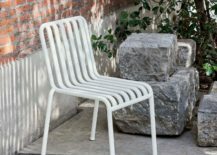 Designed in 2009 for Vitra, the ‘Vegetal’ chair was imagined as a chair sprouting like a plant, its branches curving to form an organic seat. 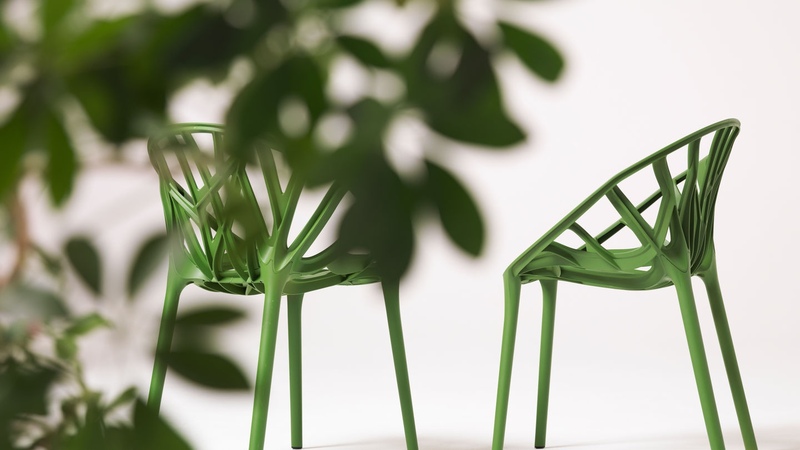 The Vegetal chair is made with injected polyamide. Vegetal chair. 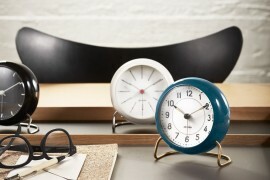 Image © Vitra International AG. Vegetal chair. 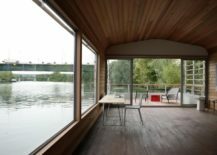 Image courtesy of ArchiExpo. 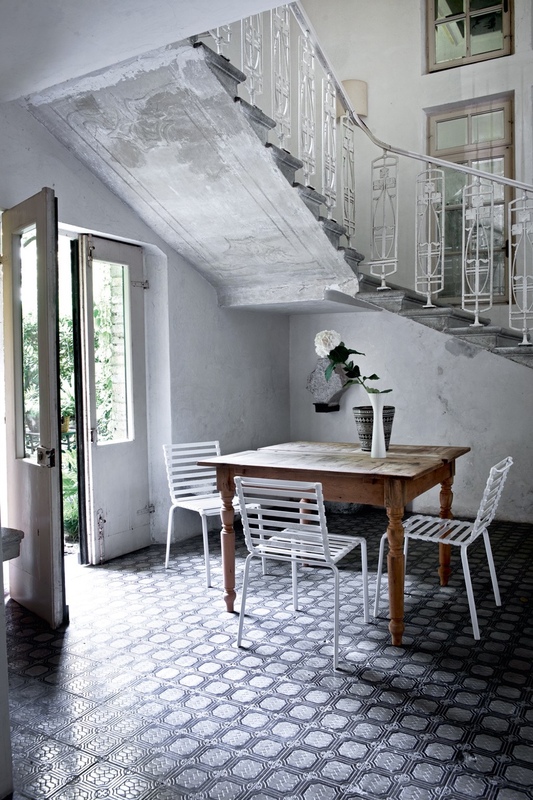 The ‘Losanges’ kilim was designed in 2011 for Spanish brand nanimarquina. 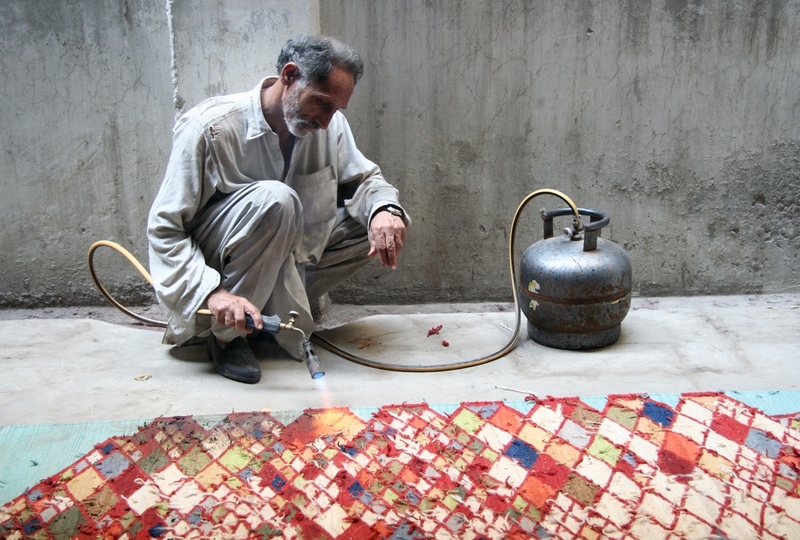 Expertly handmade by craftsmen in northern Pakistan, Losanges reinterprets a traditional Persian rug. 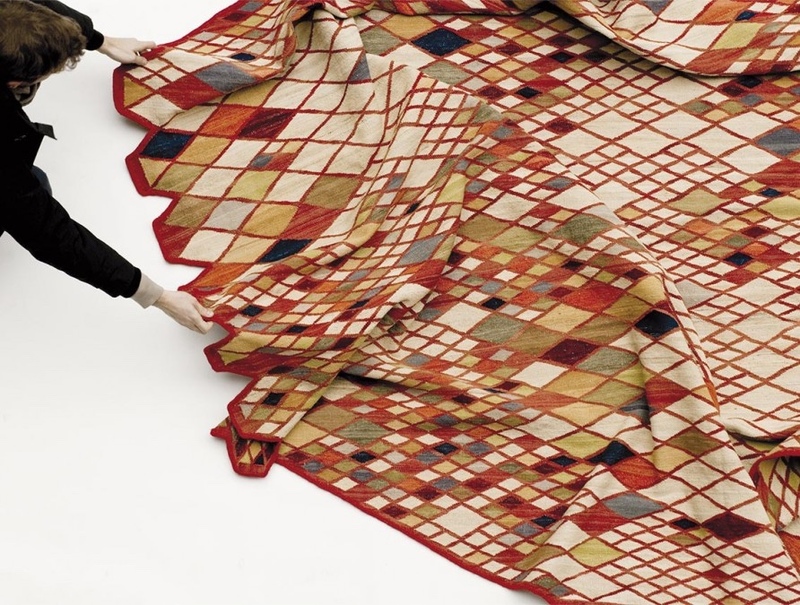 The kilim combines thirteen colours in a geometric rhombus pattern. 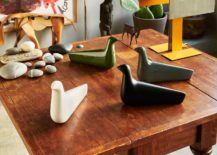 ‘L’Oiseau’ is a simple and sleek wooden bird that was created for Vitra in 2011. 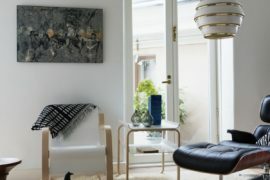 Designed as a caring and friendly presence, L’Oiseau is evocative of the modest elements found in Nordic folk art. 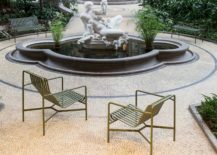 Originally crafted in wood, L’Oiseau was introduced in ceramic in 2017. 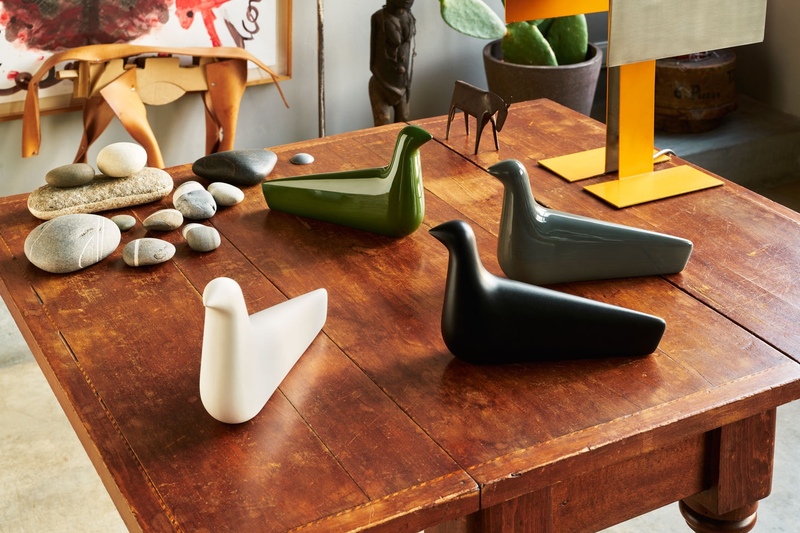 L’Oiseau in ceramic: matt ivory, gloss ivy, matt charcoal, gloss moss grey. 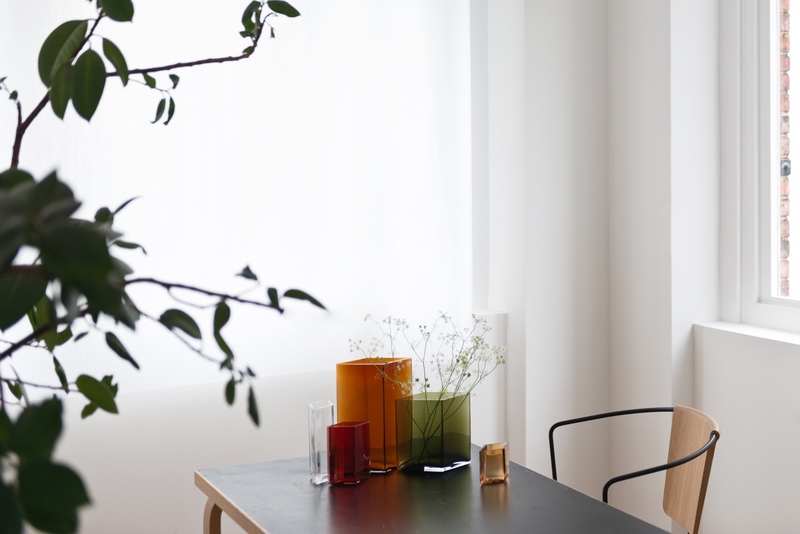 Designed in 2014 for Iittala, ‘Ruutu’—meaning diamond or square in Finnish—is a collection of vases in five sizes and seven colours. Each vase is made by seven skilled craftsmen over a twenty-four hour period: the vases are mouth-blown into a steel mould and polished by hand. 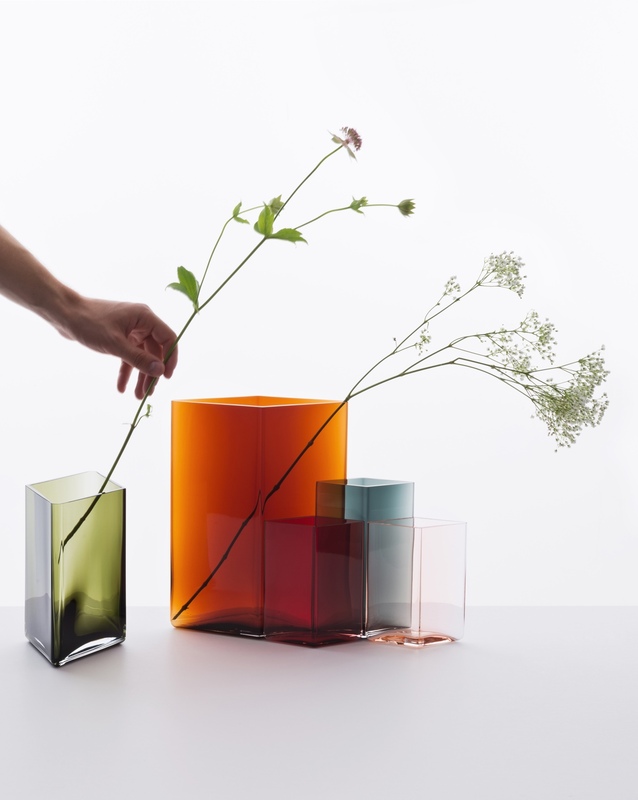 Modern and simple, the Ruutu vase presents a strong and graceful form. 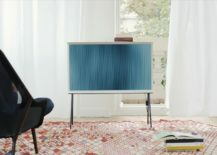 The smart ‘Serif TV’ was designed in 2015 for Samsung. Available in three sizes and colours, Serif is a brilliant feat of design and engineering. 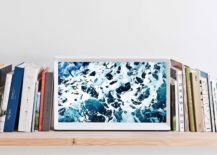 The antithesis of the flat-screen TV, Serif is more akin to a handsome piece of furniture and an object that will stand freely—on a shelf or on the floor, using its specially designed legs. 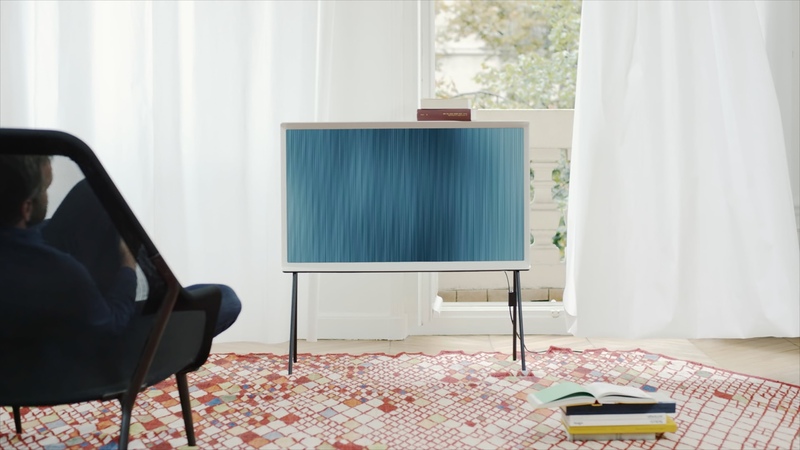 In profile, the Serif TV forms a clear capital “I” shape and its top can be used as a shelf. Serif TV. 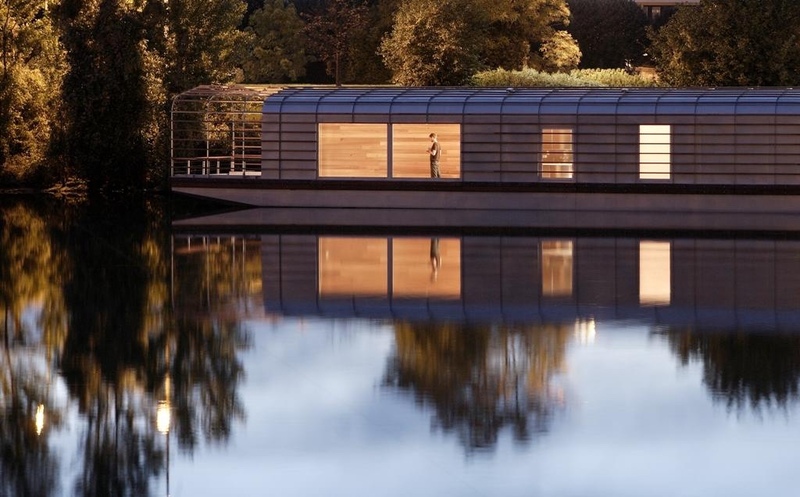 Image © Studio Bouroullec. 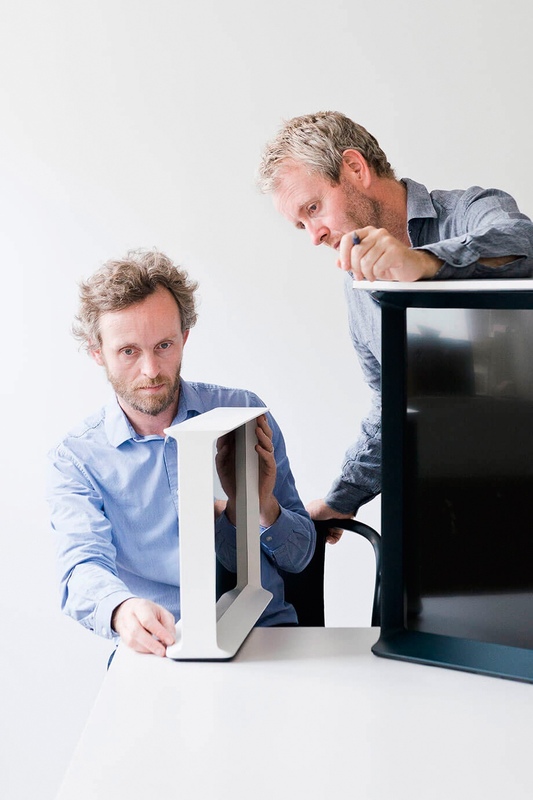 Ronan and Erwan Bouroullec with the Serif TV. 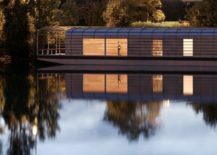 Image © Studio Bouroullec. Serif TV. Image © 1995–2017 Samsung. 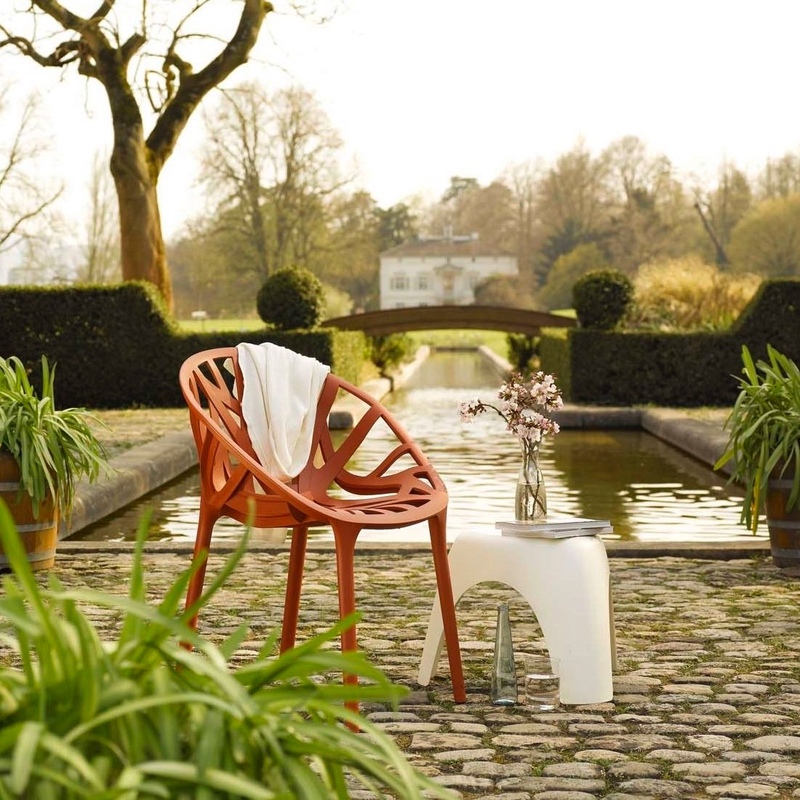 Designed in 2015 for Danish brand Hay, ‘Palissade’ is an elegant, dapper and all-round outdoor furniture collection. 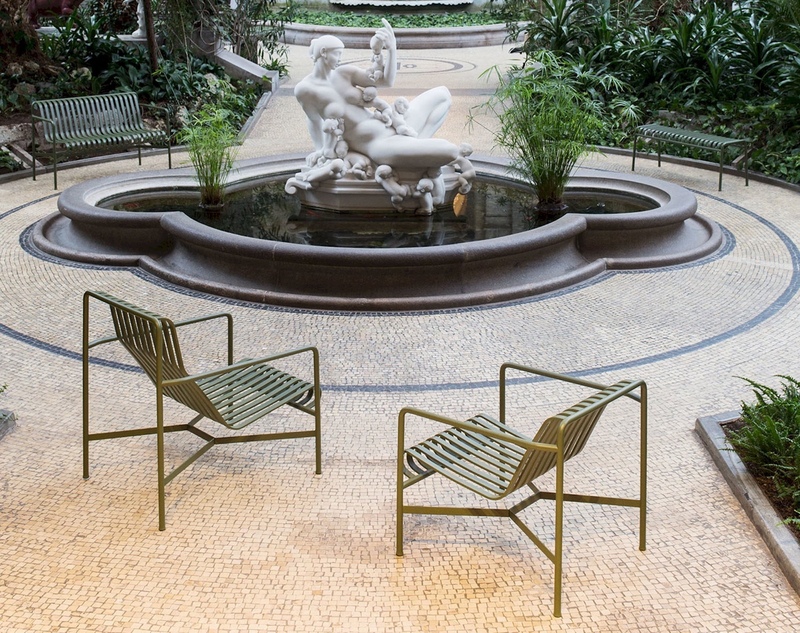 Created for public and private use, Palissade consists of thirteen components, including chairs, sofas and tables.